Around the country, little children are taught to dial 9-1-1 in case of an emergency as soon as they know their ABCs and 123s. But, believe it or not, this universal number hasn’t even been around for 50 years. It was first implemented right here in New York City in July of 1968. Before that, New Yorkers had to call the police department’s main phone line at 440-1234. At first, it was only for police calls; it wasn’t until 1970 that the three-digit number also reached the fire department and ambulance services. The idea for a universal 9-1-1 number was developed by the FCC and AT&T. The sequence was chosen because it was short, simple to remember, and was easy to dial on a rotary phone. 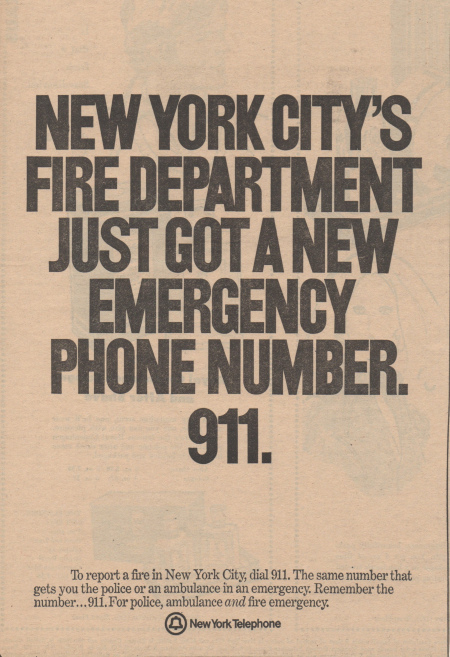 Though New York was the first city to actually adopt the service, we’d be remiss if we didn’t note that the first emergency call using the number took place in Haleyville, Alabama earlier in 1968, just one week after Congress gave the go ahead for a national emergency number. 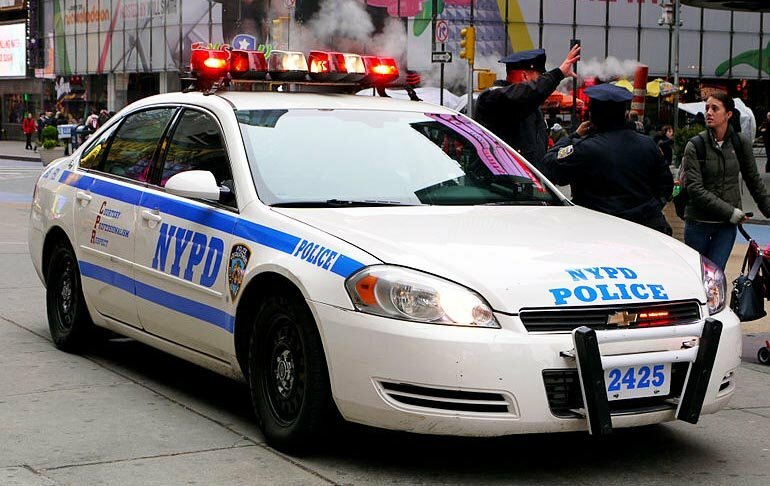 The 9-1-1 system proved immediately successful in NYC, cutting down crime, leading to more police car dispatches, and increasing daily calls from 12,000 to 17,000 by 1970. It was for these reasons that the city’s other agencies also started using the number. This ad from the New York Post on December 2, 1970, shows the announcement. Also around this time, other cities started adopting the system, but were hesitant to embrace it as some claimed it slowed response times and others didn’t like giving up agency-specific control. Today, NYC’s 9-1-1 system receives more than 11 million calls per year, making it the largest in the country. The nation on a whole receives about 240 million calls. Last year, some cities and states (not including New York) launched a text 9-1-1 service. Where Did NYC’s Nickname ‘Gotham’ Come From?